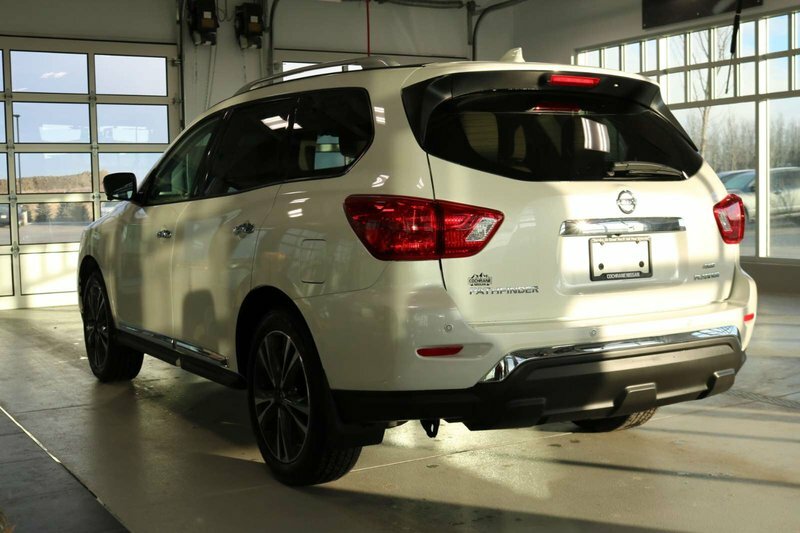 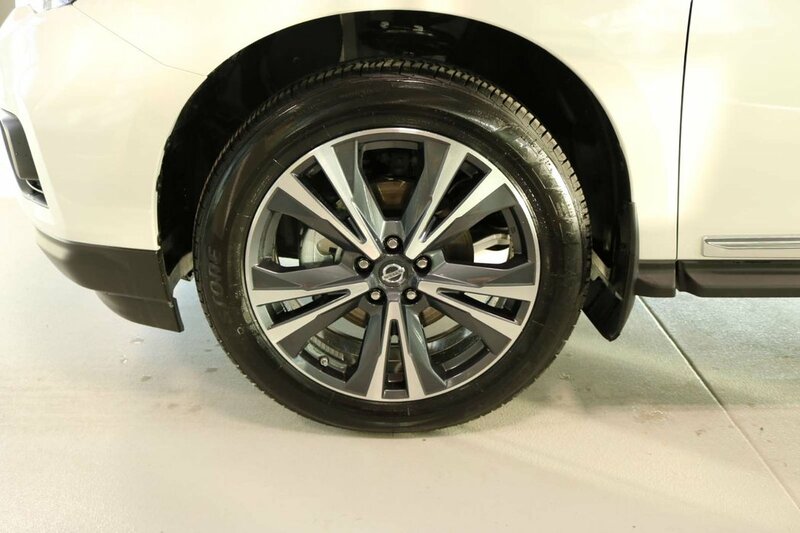 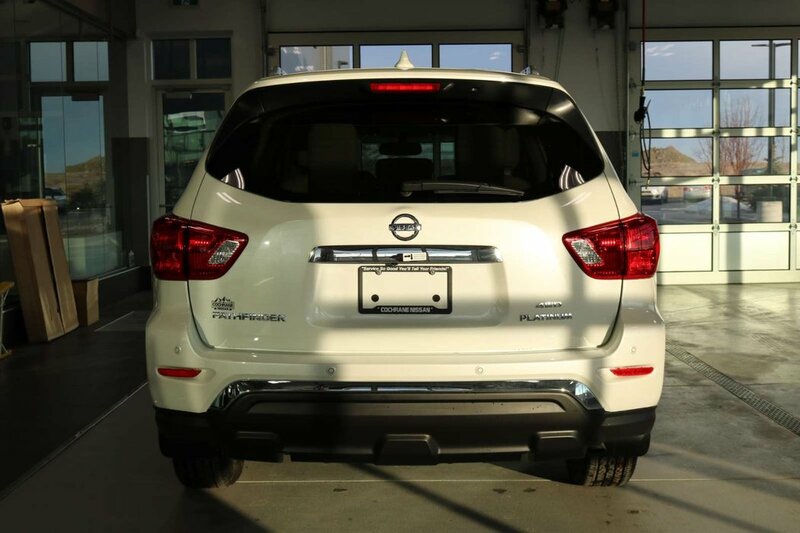 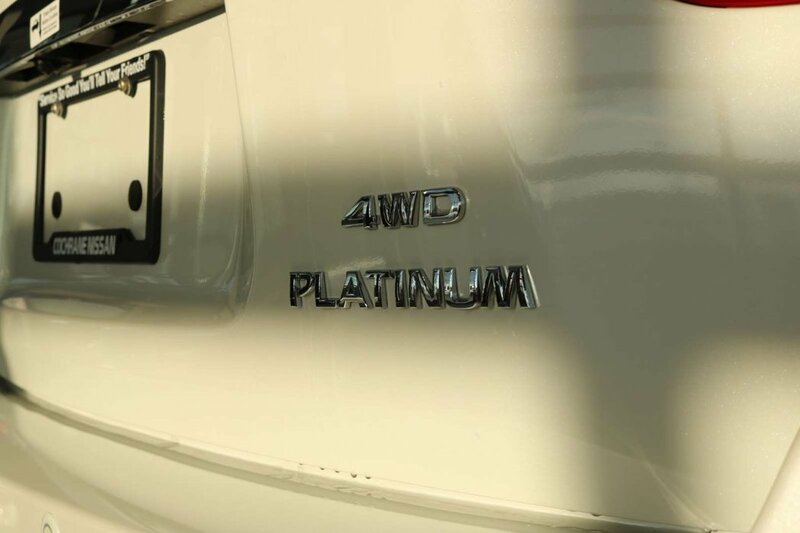 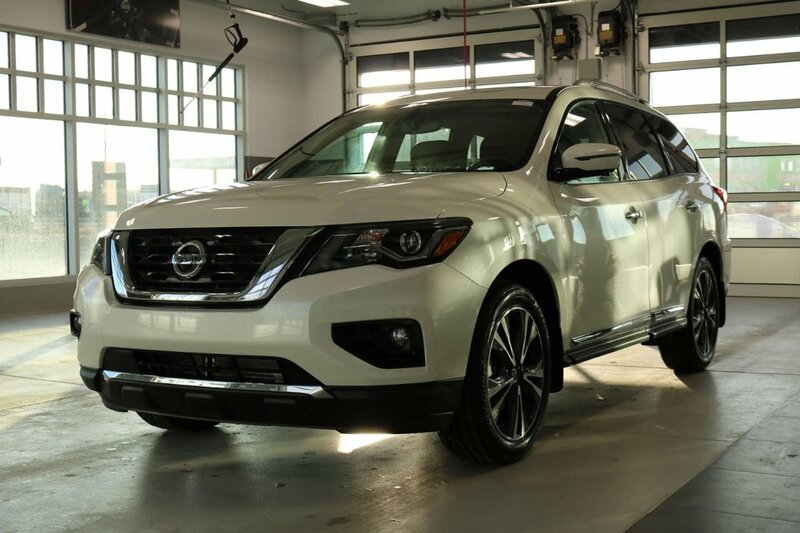 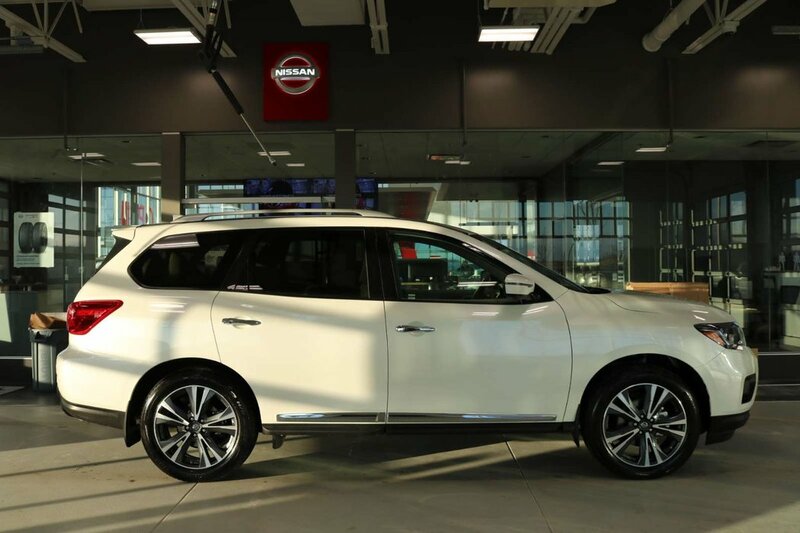 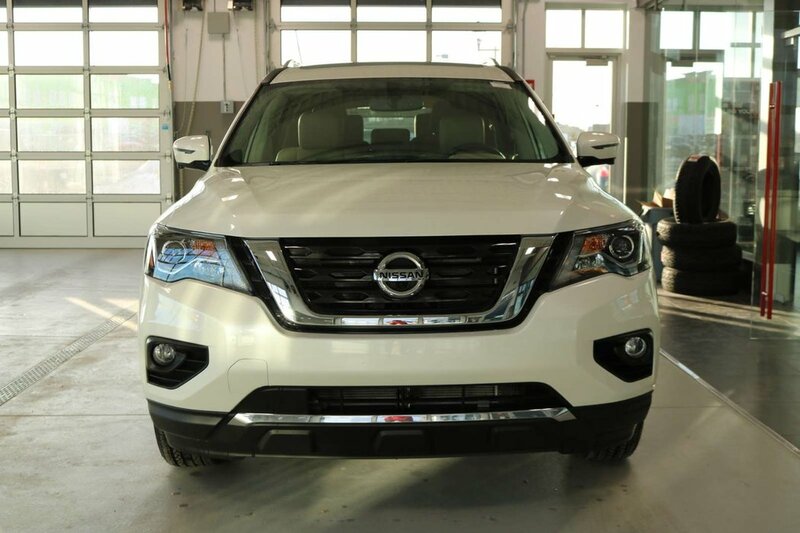 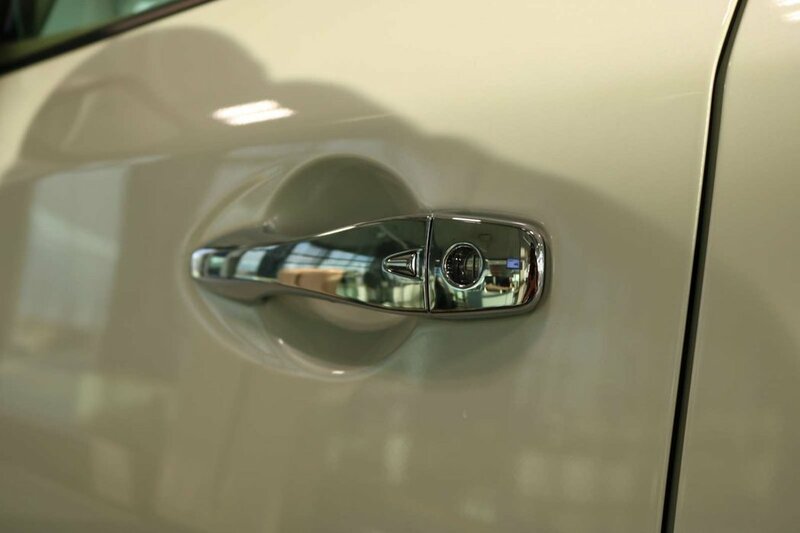 Offering premium good looks and performance to match, our 2019 Nissan Pathfinder Platinum 4WD is eye-catching in Pearl White! 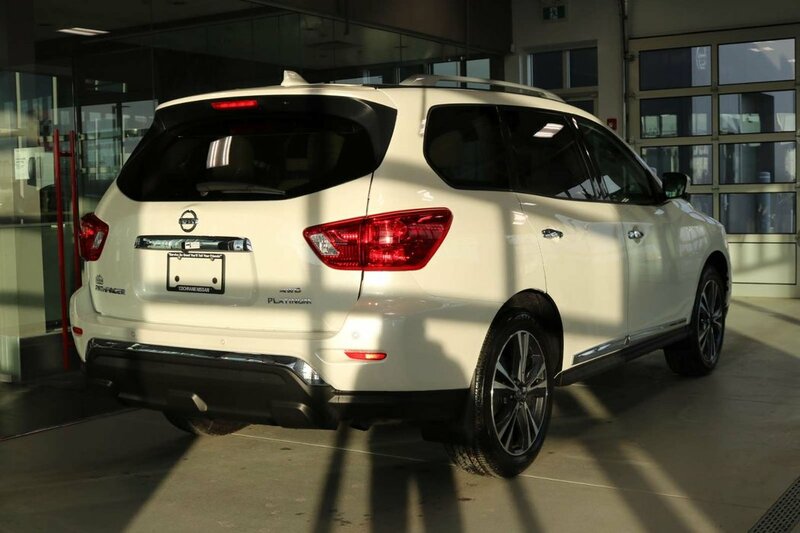 Powered by a proven 3.5 Litre V6 that generates 284hp matched to a Xtronic CVT that delivers a comfortable ride and near 8.7L/100km on the highway. 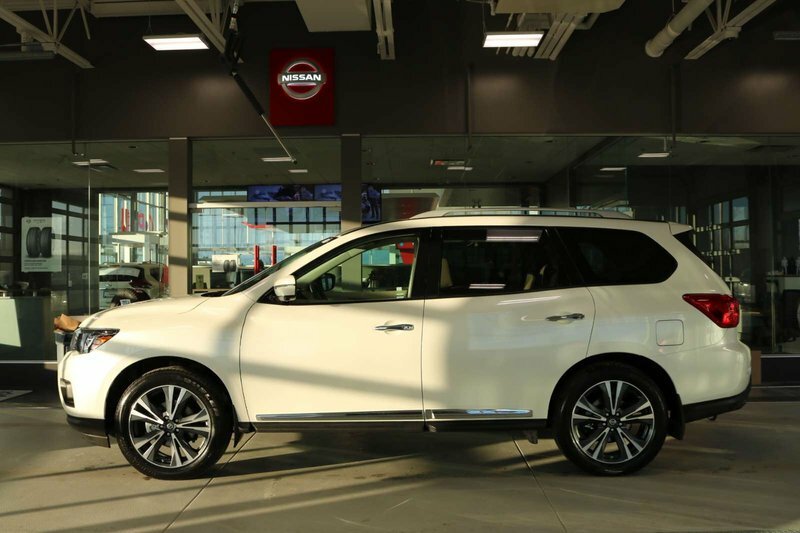 Our Four Wheel Drive Pathfinder Platinum serves up handsome style that's perfectly accented by prominent aluminum alloy wheels, chrome side moldings, a tow hitch receiver, dual pane panoramic sunroof, and a motion-activated lift-gate. 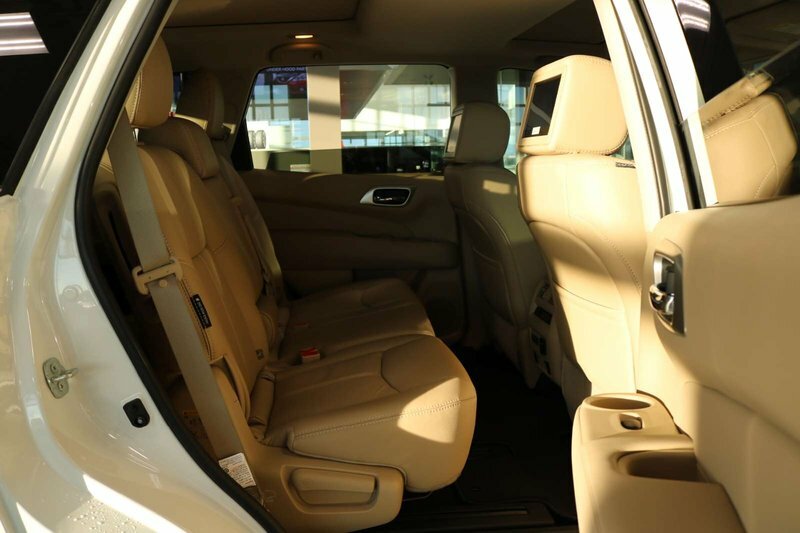 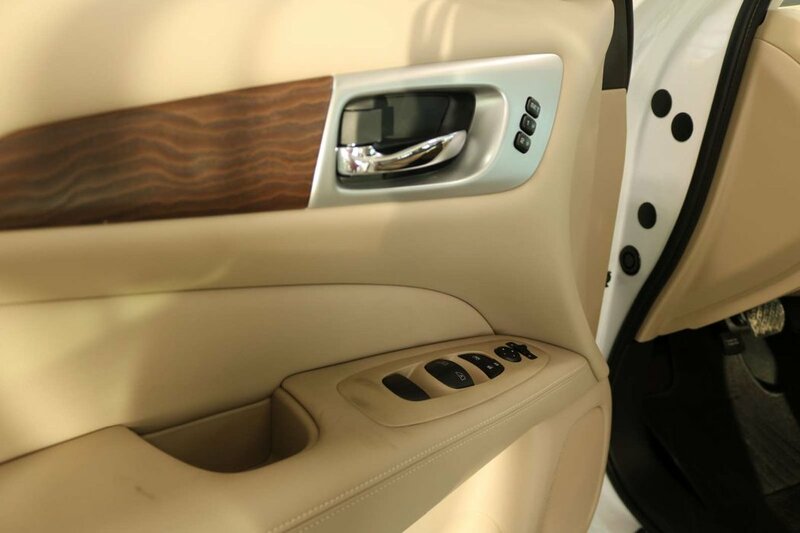 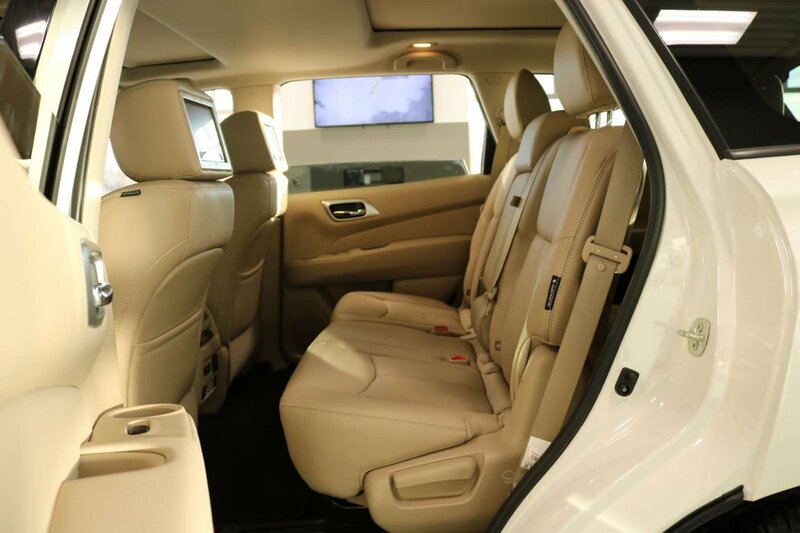 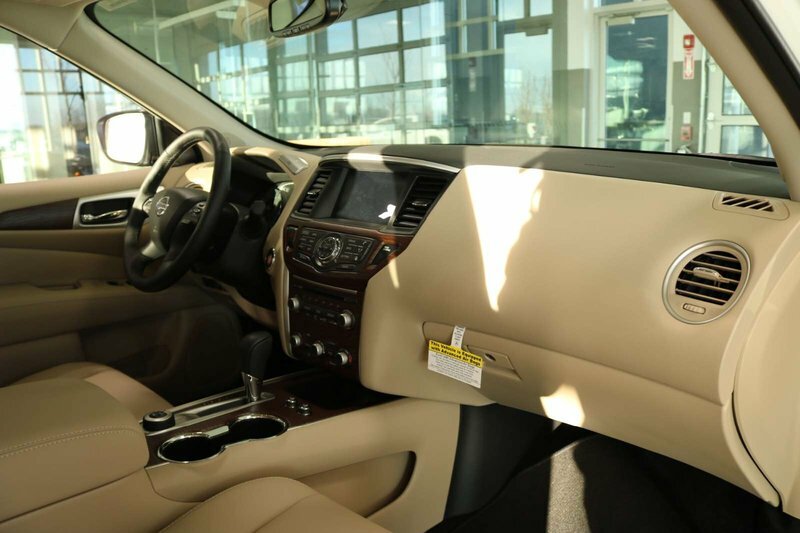 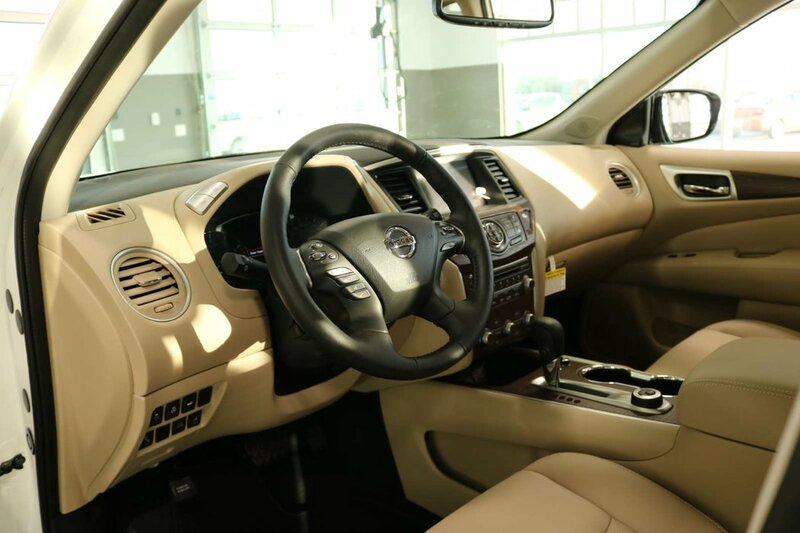 The cabin of our Pathfinder Platinum features best-in-class passenger space and impressive amenities made to make each day easier. 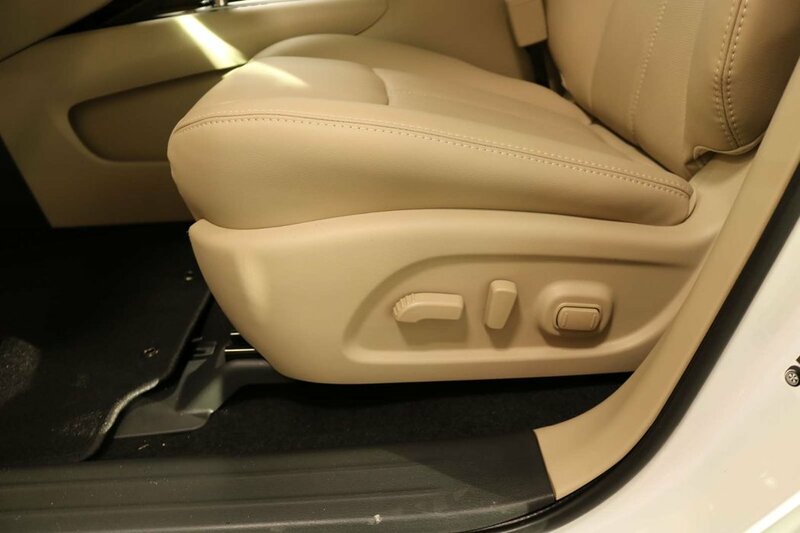 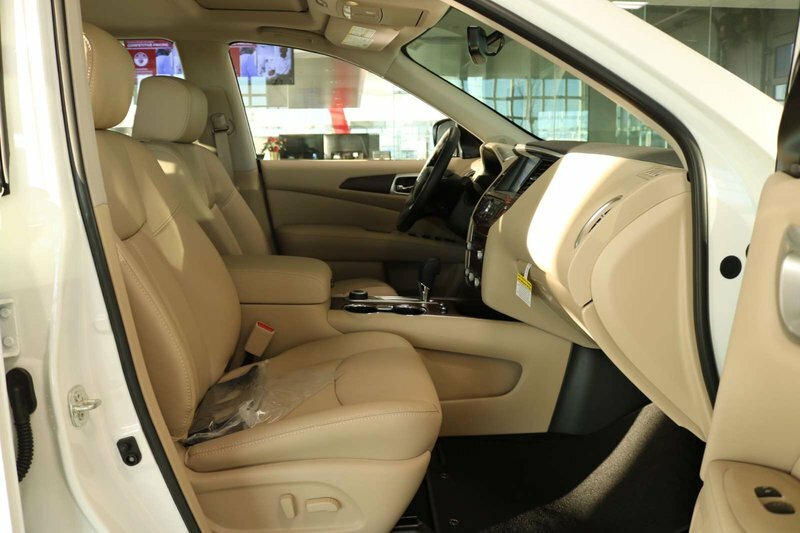 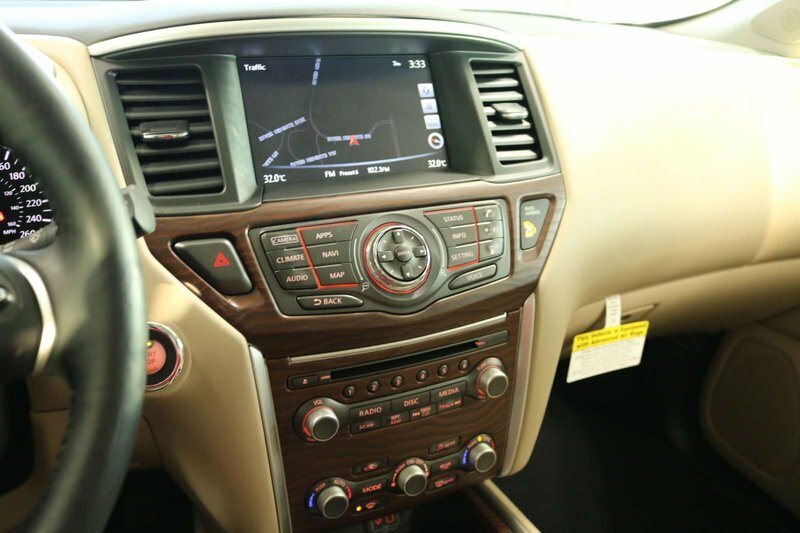 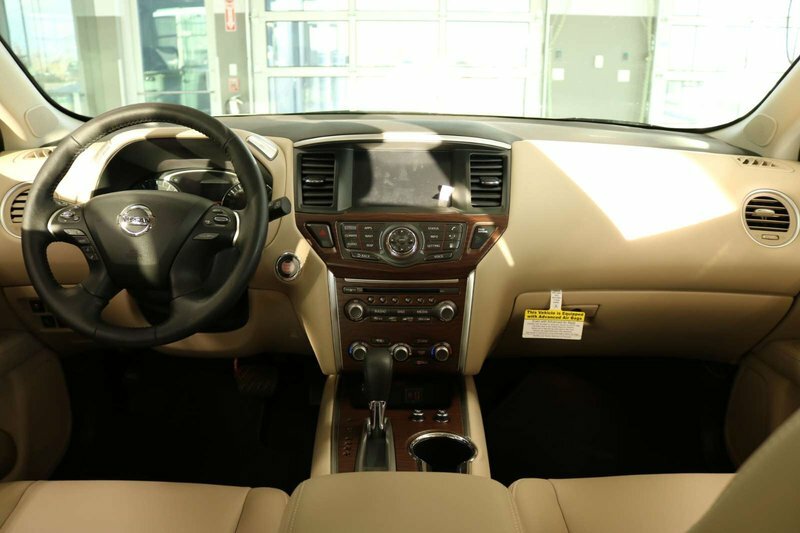 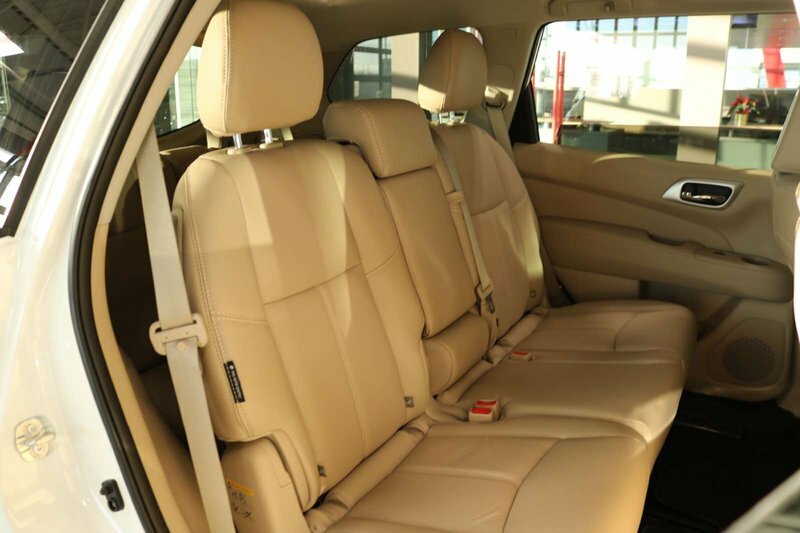 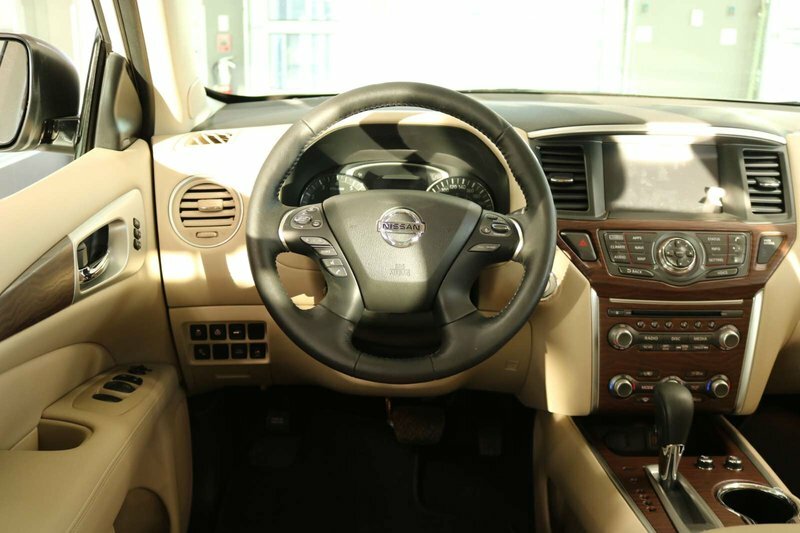 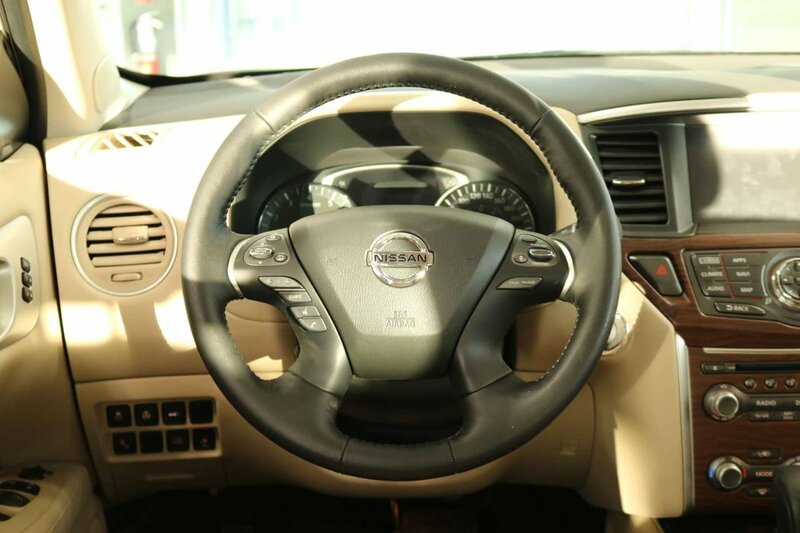 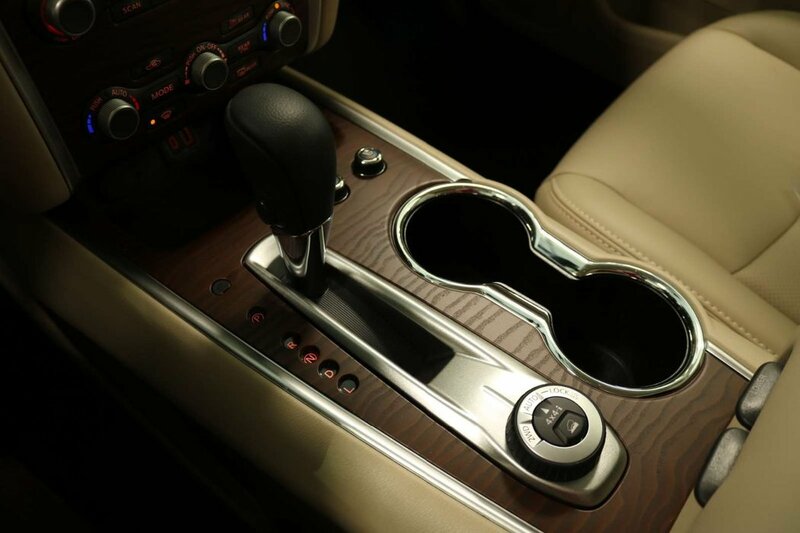 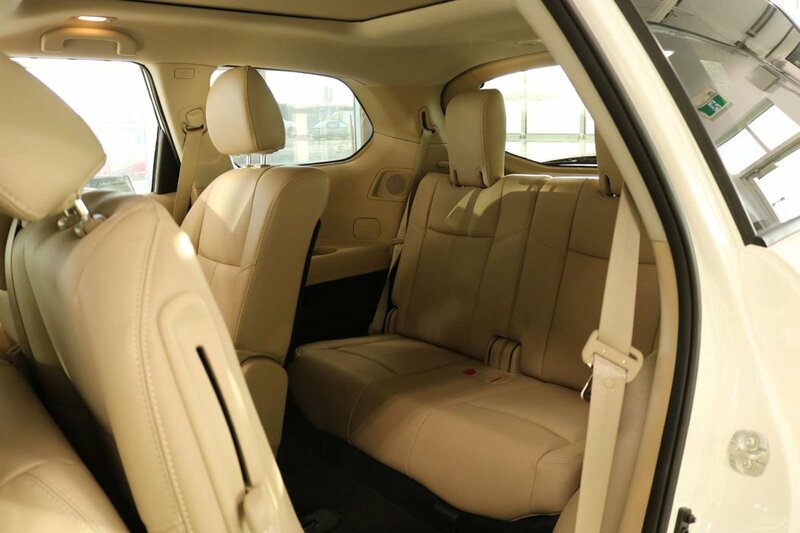 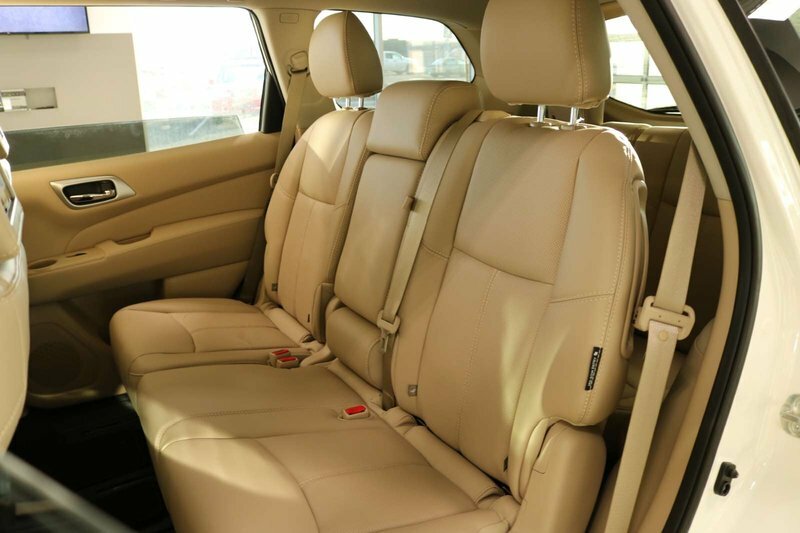 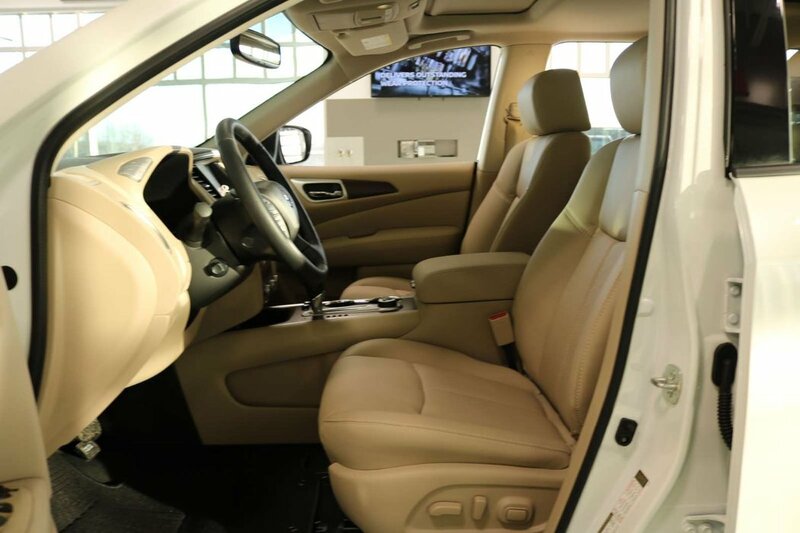 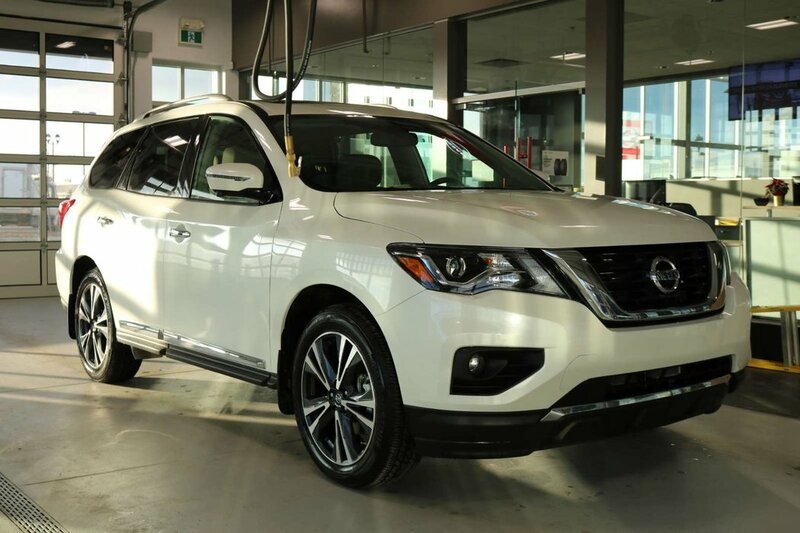 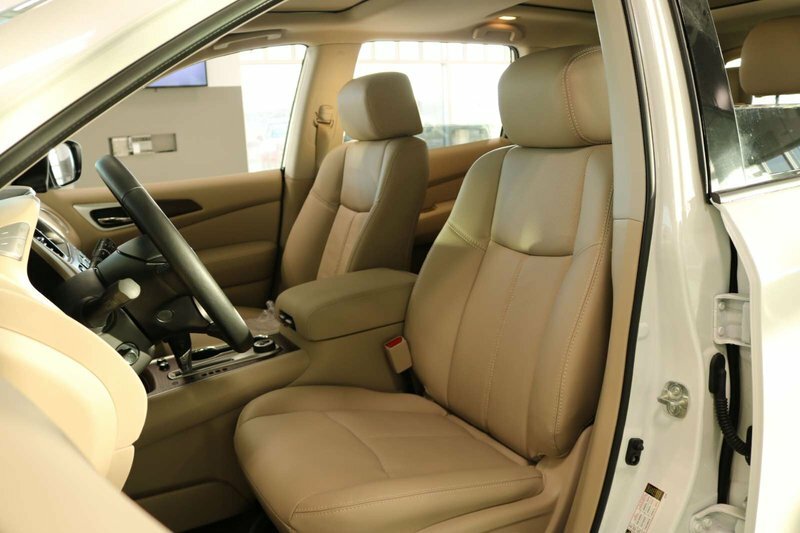 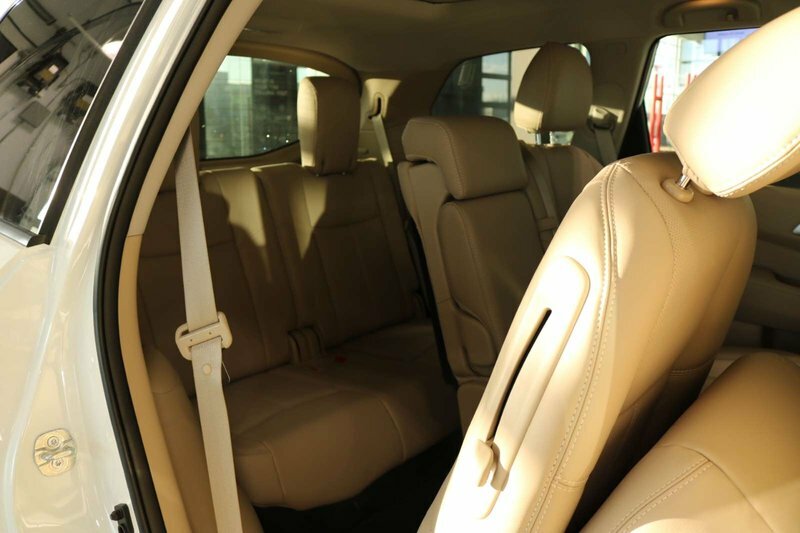 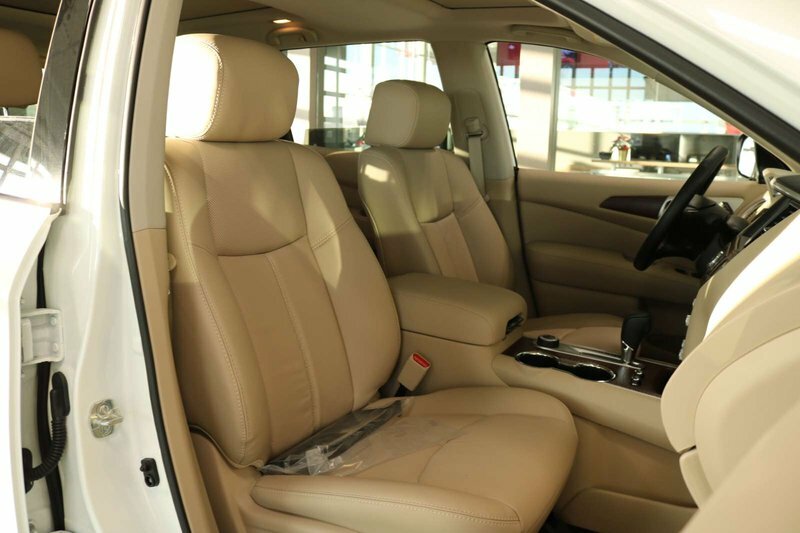 Settle into the heated/cooled front leather seats and take note of the heated steering wheel, Nissan Intelligent Key, remote engine start, tri-zone automatic climate control, and the versatility of the EZ Flex seating system. 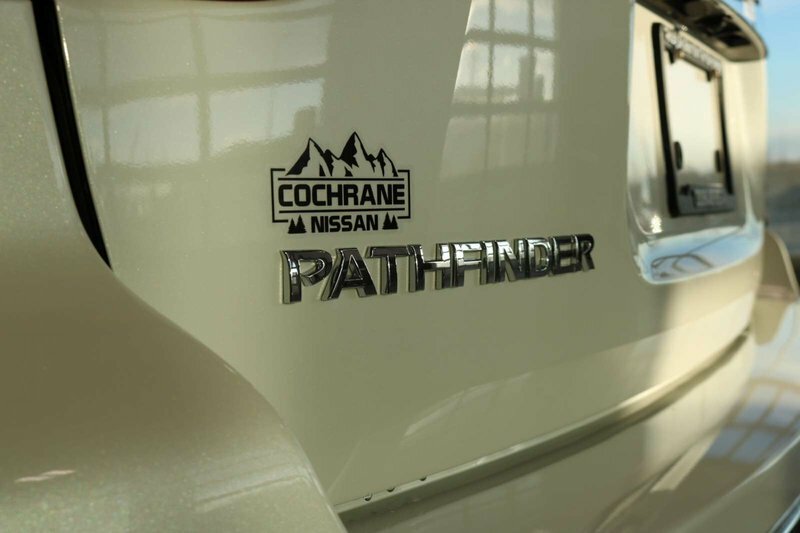 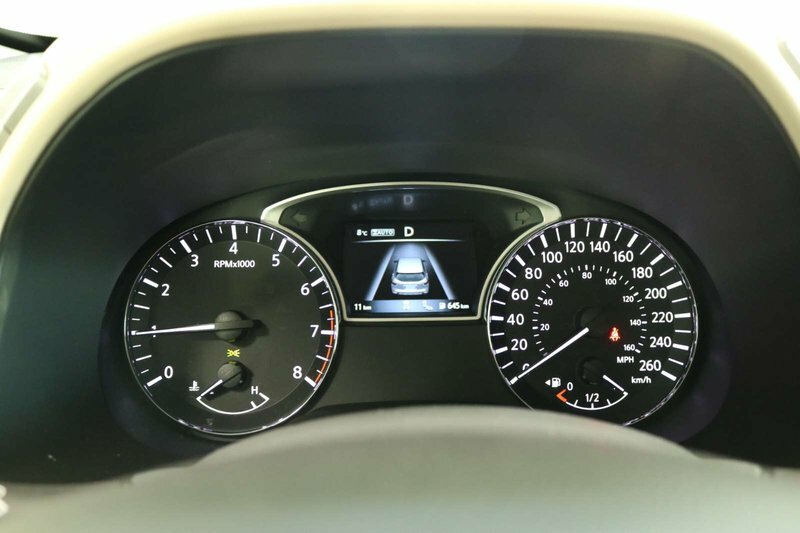 Stay connected mile after mile with our NissanConnect with Navigation that works with your smartphone and the high-resolution colour display with multi-touch control. 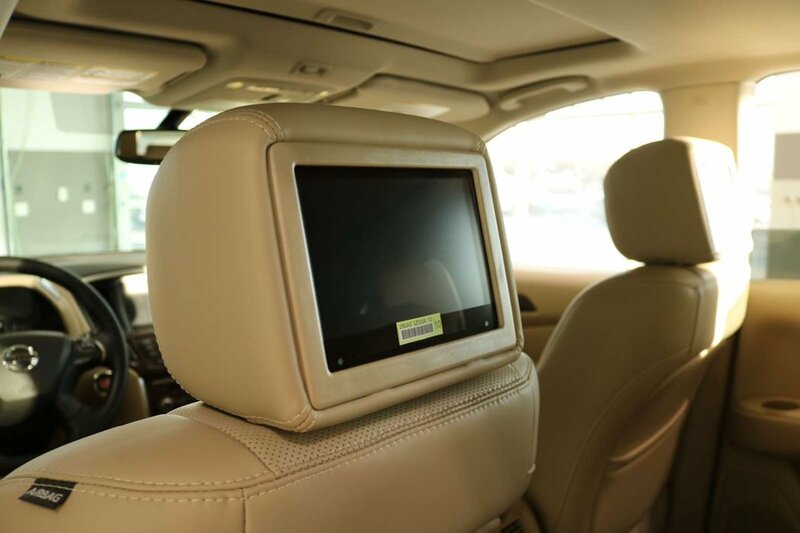 You'll travel smarter with available Sirius XM Travel Link and have your favorite music right at your fingertips with our premium Bose audio system with two USB connections.